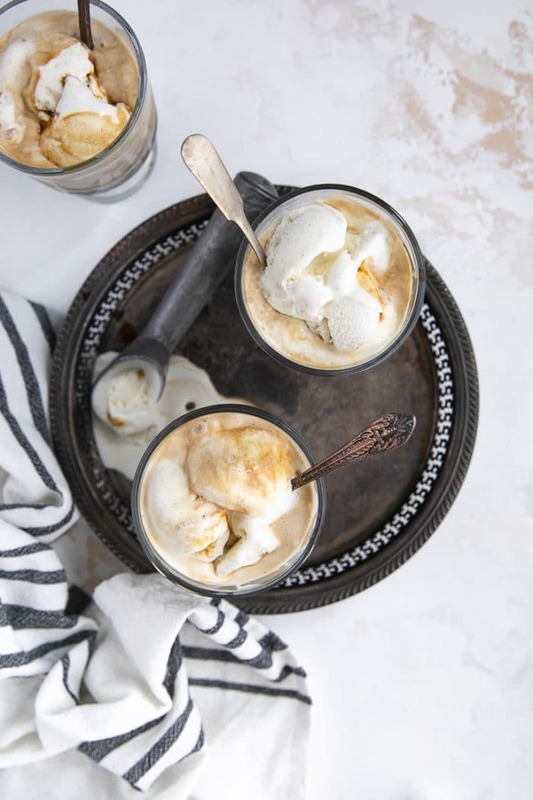 The Affogato is a classic Italian dessert consisting of sweet vanilla ice cream topped, or “drowned” with hot espresso coffee. A sweet mid-afternoon treat or after dinner pick-me-up, this espresso ice cream is just what you need to survive the hot summer months (thank you, Italy). 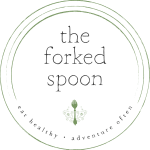 When thinking about my favorite things (aside from family and travel and giant, over-sized, walk-in pantries, of course) I usually think about fresh strong espresso and dessert. Given this love for caffeine and sugar, you can imagine my excitement when I discovered the Affogato while traveling through Italy. Italian for “drowned”, the Affogato is a coffee-based Italian dessert slash post-dinner caffeine pick-me-up. 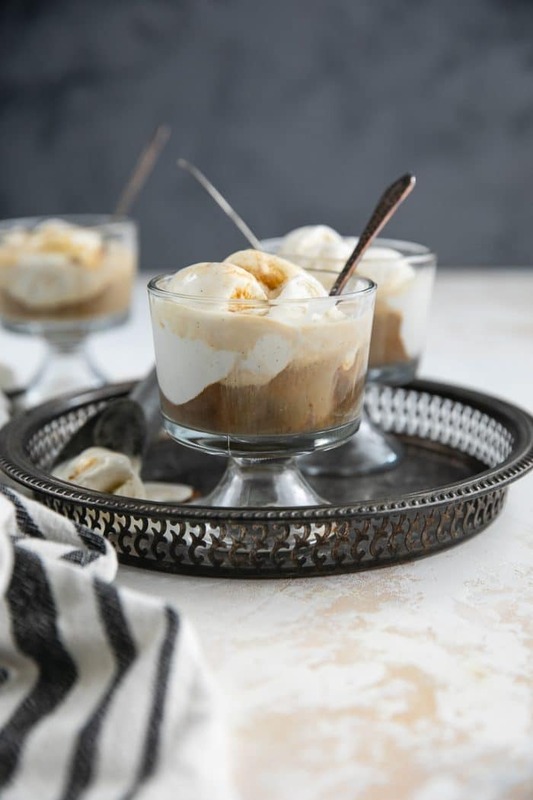 This fusion of sugar and caffeine makes this espresso ice cream Affogato the perfect solution for anyone struggling to make it through the afternoon or survive beyond dinnertime. No matter how you interpret the Affogato, it is one more brilliant Italian creation that I would not want to live my life without. Seriously, though, those Italians know how to do food- from the fresh pasta noodles to the multitude of fresh, homemade pasta sauces, then there’s the pizza. Have you ever had real Italian pizza? It will literally blow your mind. My only regret while traveling in Italy is not eating more. More pizza, more gelato (oh my, the gelato! ), more fresh and homemade pasta noodles. The difference is real. The list is long, I know. But I think we can do it. Traditionally, this espresso ice cream treat was served with just ice cream and espresso. However, at some point in time, someone decided it would be fun to spike these delicious coffee desserts with some booze. Of course, this is totally optional. But, probably not recommended at 3 pm or anytime where your bed is not in your immediate future. 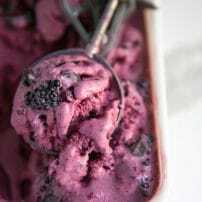 Additional modifications to this Espresso Ice Cream recipe include the use of different ice cream flavors. Why not try chocolate? Caramel? Coffee-flavored ice cream? Some people have even ditched the coffee espresso altogether and poured hot matcha tea over ice cream instead. Personally, you’ll find me enjoying the classic. Maybe with some chopped hazelnuts or shaved dark chocolate on top if I really want to go crazy. Place the desired number of glasses in the freezer to chill- if you remember (I did not). This will help keep the ice cream cold. That said, it is not a required or necessary step. Only if you want to be really fancy. Add 1-2 tightly packed scoops of ice cream to each glass. 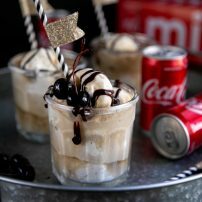 Pour 2 ounces (double shot) of freshly brewed espresso directly over the ice cream. The Breville Barista Express– I have used this machine every single day, 2-3 times a day, for over two years and it is still both my husband and my favorite. You can read my review here. Nespresso Essenza Mini Machine– Another awesome option, especially if your kitchen footprint is smaller or you’re looking for a machine that is less hands-on. The only down-side is that it does require the mini pods which you will have to continually purchase (plus the unnecessary waste), BUT, Nespresso has really stepped up their game when it comes to making their products as earth-friendly as possible. Read my review here. Moka Pot– You can never go wrong with a Moka pot. 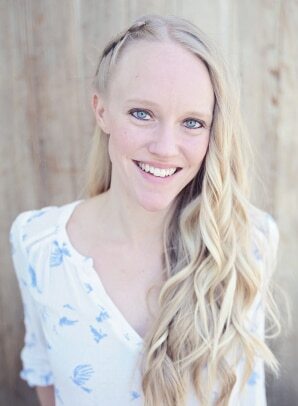 Inexpensive, compact, easy. 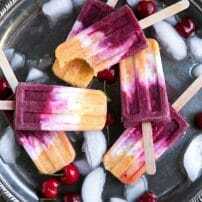 Check out these other delicious dessert recipes! The Affogato is a classic Italian dessert consisting of sweet vanilla ice cream topped, or "drowned" with hot espresso coffee. 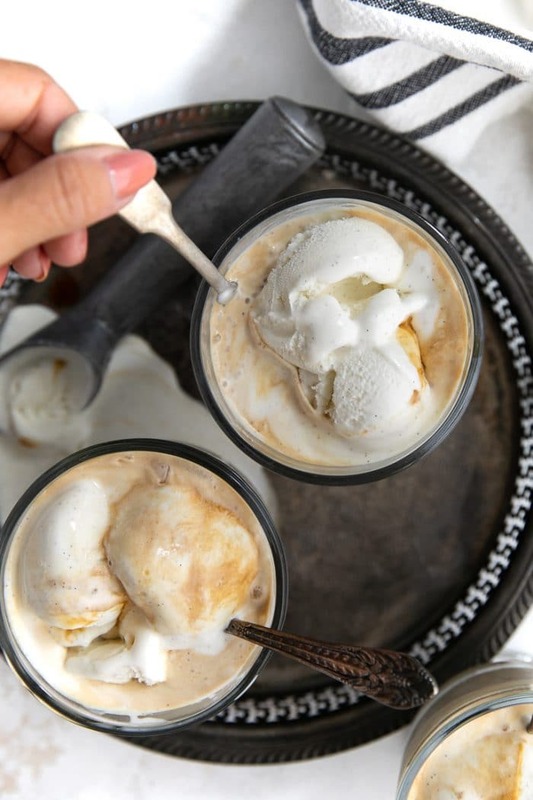 A sweet mid-afternoon treat or after dinner pick-me-up, this espresso ice cream is just what you need to survive the hot summer months (thank you, Italy).You may substitute freshly brewed strong coffee if you do not have access to an espresso maker. 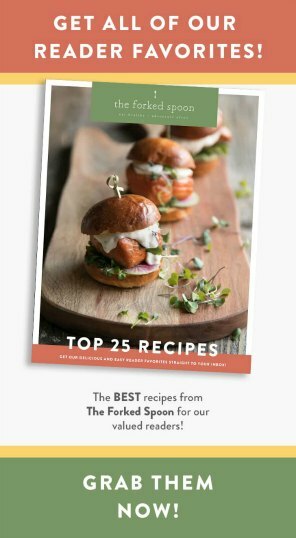 Keyword: Affogato Recipe, How to make an Affogato?, What is an Affogato? Brew the hot espresso just before serving. 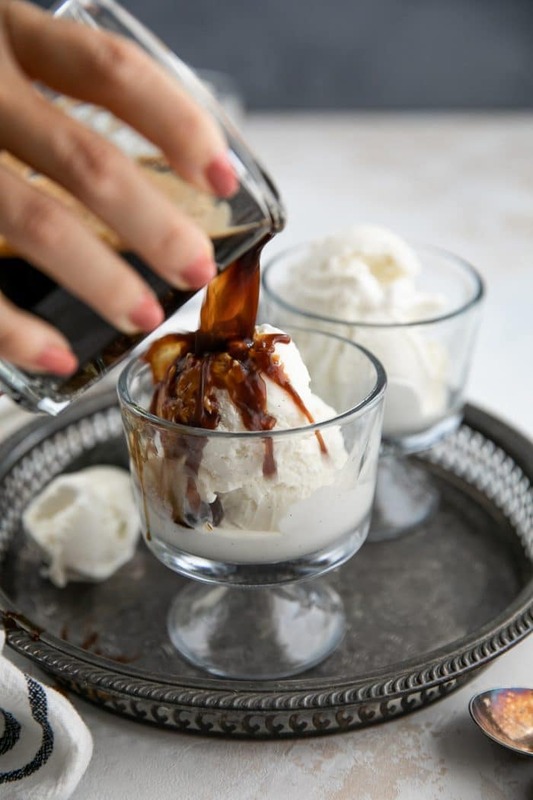 Add 1-2 large scoops of ice cream to a glass cup or bowl and carefully pour the espresso over the ice cream. Garnish with shaved chocolate or chopped hazelnuts, if desired (not shown). 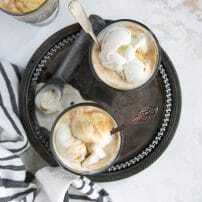 Want to try this Affogato Recipe? to your Dessert or Coffee Boards on Pinterest and save it for later!